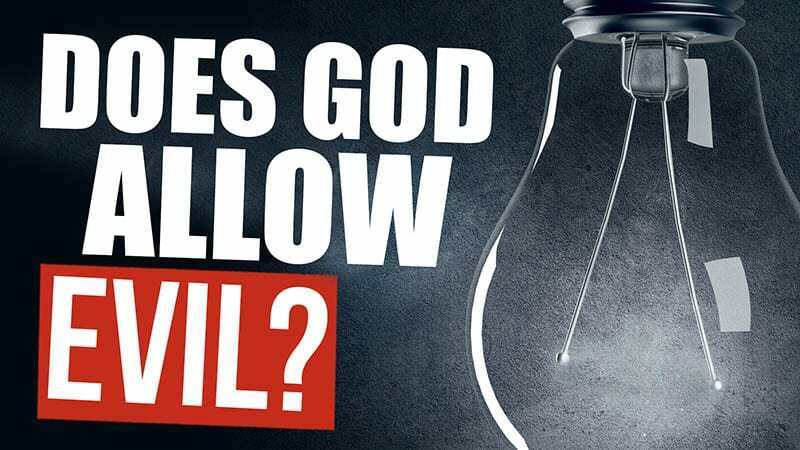 If God is So Good and Loving, Why Does He Allow Evil? Who says He does? Words have meanings. What does “allow” mean? It means one could stop something from happening but chooses not to. Would you “allow” someone to come into your home and harm your family? Of course not. But GOD would??? Please, that’s an insult to Him. Why did God not stop the last person who went on a killing spree like the Army major at Ft. Hood? There are only two possible answers: Either He would not or he could not. God IS love, and love doesn’t allow evil, so the answer cannot be that he would not. “And the answer is…” HE COULD NOT. And the next question is: Why couldn’t He? “And the answer is…” HE DID NOT HAVE SUFFICIENT HUMAN COOPERATION. Ever heard of a smelly giant named Goliath? Did God stop him? In his tracks. How and why? Because a teenager named Dave said, “I’m not gonna let this wicked creep hurt God’s people. Let’s rock!” God couldn’t find anyone at Ft. Hood that day who was tuned in to Him like David was. How sad. God does NOT allow evil. How do we know? Gimme a “J,” gimme an “E,” gimme an “S-U-S.” Whatd’ya got? JESUS CHRIST. Jesus showed us God’s heart and God’s attitude toward evil and human suffering, and he eradicated it at every opportunity! (See Four Gospels). When God can stop evil, He does, and when He can’t, He hurts with us, He comforts us, and He looks forward to the day when there will be no more “…death or mourning or crying or pain…” (Rev. 21:4). And, because of what Jesus endured on our behalf, that day will come. See our book: “Don’t Blame God.” Also see our video teachings: “God Made Me Do It;” and “God’s Foreknowledge and Man’s Free Will;” and our audio teachings: “God’s Foreknowledge;” and “You Are The Only You God Has.” There are a few articles: “Does God ‘Permit’ Evil?” “Seek an Occasion to Obey;” “Is God in Control?” “Is God a Murderer? ;” and “You Are The Only You God Has.” See our class: “One Day With The Creator,” Segment 13.